Deleting the unwanted files is the good habit and eventually that will help you to run your computer smoothly. If you delete your most important file mistakenly, and want it badly at any cost, since there is a restore option in the Recycle Bin will help you to restore your file. But What if you do, when you delete the files from Recycle bin too or If you have used the CTRL + DELETE permanent file deletion shortcut, there is no way you can restore your file. Kickass Undelete is a the one of the best file Recovery tool to recover your Accidentally deleted files from your Hard Disk. 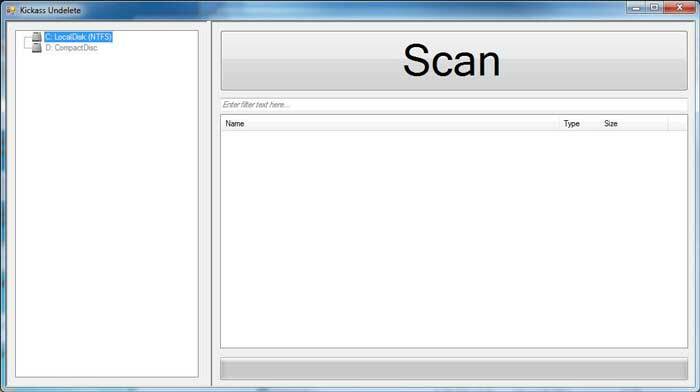 This tool has the ability to recover your permanently deleted files from your hard Disk, Pen Drives and even from the MicroSD Memory card. You may think that How it will recover the files from my hard disk, since I’ve deleted permanently. The files are not actually deleted from your hard disk, only it has been removed from the file system Table of your computer operating system. So It can be easily retrieved from your hard disk by using the Recovery tools. But note that You should not overwritten any data on that particular space. If you have overwritten any of the file in that disk, it will be very tough to retrieve the file. Then How to Delete Files Permanently from your Computer and no one should recover it. Download and install this KickAss Undelete file recovery tool in your system and launch it. The KickAss Undelete application will display all your hard disk drives in the left side pane. Just select the location of the file which you want to recover. If you are unsure about the deleted file location, just choose the entire hard disk and click the big scan button. 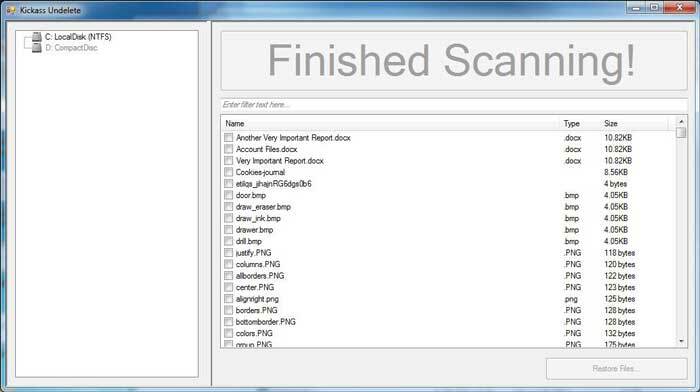 Once the scanning process complete, the app will list all deleted files. There, just choose the file you want to retrieve and click the restore button. That’s it, your permanently deleted file will be for you again to use.